Wages are up and companies across the country are hiring. Fortune 500 corporations like Accenture are adding hundreds of jobs to the Minneapolis-St. Paul area. If your company is also looking to expand with top quality talent, you are probably considering the option of staging a hiring event. If your company is in the hospitality or tradeshow industry and you design events for clients like conferences and weddings, you may think you have everything you need in-house to create an effective hiring event. Think again. No matter what industry you serve, there are several reasons you should think about outsourcing the project to experts who can really help you get more bang for the buck. With so much competition for star recruits, you will want to create an event which positions your company as a leader- one that everyone will want to work for. Here are seven reasons why you should outsource the planning your hiring event. A job fair requires strong logistics. You may have large crowds of people needing to be ushered through separate and simultaneous processes. You will also need organizational expertise to make sure your recruiters are able to meet with everyone they need to meet. Your staff may not be trained in recruiting and recruitment events. Even if you represent a hotel or company experienced in planning customer-focused parties like weddings, they may not be equipped to run an efficient hiring event. You may need to seek an outsourced event planner who can help you maximize this important corporate opportunity. They will be able to run it for you and also bring in any trained staffing support you may require. Hiring events can yield thousands of applicants if they are promoted well. Do you have the appropriate location onsite to accommodate these crowds? If you run a hotel or other facility which has a large space available, you may be tempted to keep costs down by hosting the event onsite. However, large crowds of job seekers might interfere with your day to day operations, especially if your location must also host paying guests and customers. An outsourced event planner and marketing expert can honestly assess your location to see if it can accommodate a large hiring event. They can also help you look into other locations which might tap into other potential hiring markets. For example, if your company is not within walking distance to the local university, you may wish to book a venue where students and potential job applicants have easier access. If your company is part of a conglomerate or chain, you may have strict guidelines on how your company branding is presented. Your marketing people may be used to seeing the logo only in particular sanctioned ways. An outsourced marketing specialist, on the other hand, will help you see your brand from outside the box. They can take your branding and mission and convert that into distinctive ways to recruit employees. 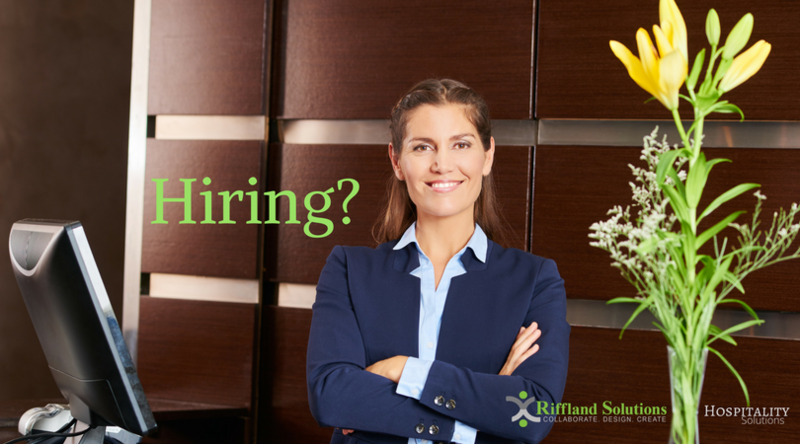 They can counsel on special signage which may be particularly effective for a hiring event. They may come up with especially innovative ideas as well. How about vehicles wrapped in the company logo to transport job seekers between public transportation and the event venue? In today’s competitive employment market, your company needs to stand out. 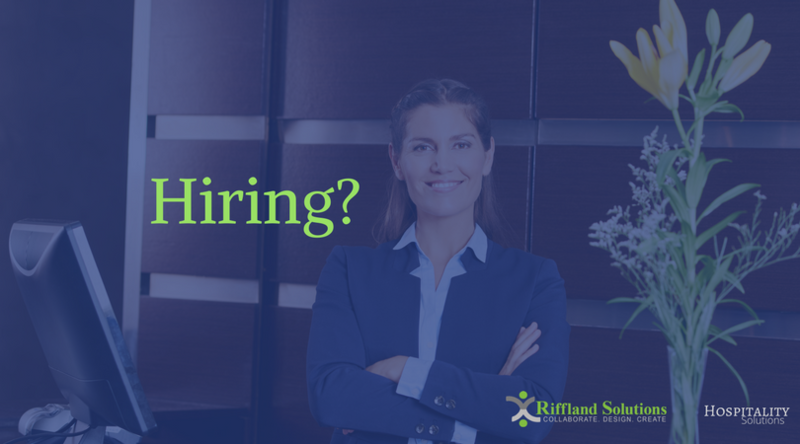 If a potential employee has several different choices of where she wants to work, you want your hiring event to put your company in the best possible light. Sometimes it’s hard to see yourself clearly. An outside consultant can look at your company’s marketing and recruiting materials and efforts with a fresh eye and give you their honest, experienced assessment. Sometimes an outside consultant can also give you the hard truths. They can tell you if something you have been doing for years is out of date. They can conduct a professional marketing analysis to assess everything you have been doing so far, and what you can do better. Often outside consultants are better positioned than internal employees to inform the management about how old ways of recruiting and marketing might be improved. An effective job fair requires a coordinated effort, begun long before the first day of the event. To bring in job seekers you will need to have advertised the event through social media, radio and print, and those ads will need to run a few times. Creating an effective media plan that does not break the bank is another benefit an outsourced marketing professional can bring to your recruiting efforts. They can work with outlets with whom they have long-lasting relationships in order to get you a good deal and to select advertising placements which will be specifically suited to your needs. If your company has not hosted a recruiting event before, you may be surprised at how quickly the costs add up. Hidden fees can come out of the woodwork. When you work with an outsourced company, you can sometimes negotiate a special price for the entire event. They are experienced in the costs of these events and can lay out a line item spreadsheet showing what their services will cover and what will be extra. You will know up front the total cost of the event and be spared many sudden surprises. After the event, a consultant should provide you with an analysis of the costs and the results showing which dollars were well spent, and where you might better allocate them next year. This will please management by giving them a clear rationale for the expenditure and by assisting in the creation of future budgets. If your company does not specialize in staging recruiting events, you should hire a consultant who does. Their expertise will not only take the burden off of your staff’s shoulders but they will be totally dedicated to your hiring objectives. An outsourced consultant is able to bring together all of the moving parts of an event including staffing, advertising, logistics, and budget – all with your best interests in mind. Instead of trying to coordinate planning such a critical event while maintaining your own ongoing operations, why not delegate to the experts? Don’t underestimate the importance of how your company presents itself during a recruitment fair. In today’s tight job market, every detail can make a difference for getting that exceptional prospect to choose you over your competitor. If you want more advice about outsourcing your recruiting events, contact us.